I have received permission to modify all gifs on this page. 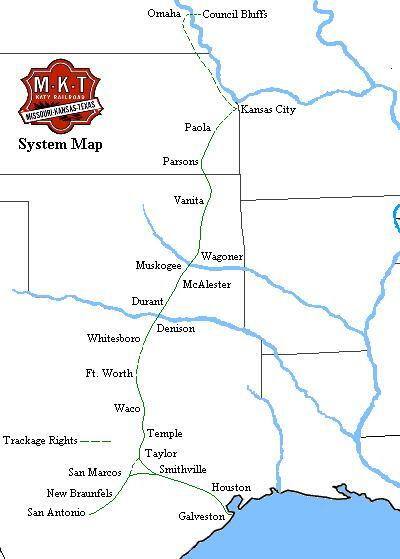 This is my version of the Missouri-Kansas-Texas Railroad, affectionaly known as "KATY". However, the MKT I model is in May 2000 (ala KCS). Below is an adventure in creating or modifying Gifs for the MKT/BKTY/OKKT railroads (of which the BKTY and OKKT are subsidiaries). Also my desire to model Miss KATY in the new millennium without the UP merger. If you want to use any of these gifs drop me an email to let me know. Thanks!